Gozan-no-Okuribi is a Japanese traditional event in Kyoto on August 16, 8:00 p.m. It is a mountain bonfire, and is one of the four major event of Kyoto, Gion Festival, Aoi Festival and Jidai Festival. Its bonfires appear a shape of Chinese character. Kyoto is full of fantasic atmosphere during this event. Many Japanese feel the end of summer and beginning of autumn after the fire goes out. It is said over one hundred thousand people see the Gozan-no-Okuribi even weekdays. 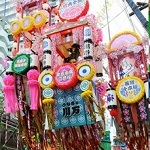 It is said that the souls of ancestors go back thier home in the Bon Festival(from August 13 to 16). Descendants see ancestors on August 13, and they see ancestors off with this bonfire on August 16. Therefore, visitors should worship their ancestors with folded hands. Bonfire's Chinese character shape has four style, Daimonji meaning large or great in English is most famous among them. There are several theories about the origin of Daimonji, a popular theory is that Kukai who was a Buddhist monk started Daimoji. He made the bonfire like Budda's. In the past, people made a bonfire like a light ring ot Budda, but he changed and made the Daimonji bonfire. If you want to see Gozan-no-Okuribi, you should learn where you can see the bonfire. Because you may walk crowded street, and it only keeps for an hour. View a web site of Kyoto City Tourist Association or go a tourist information center of Kyoto. Many people see Gozan-no-Okuribi on the street, but some people see it from in the hotel. Kyoto Tower hotel has a special plan for it. 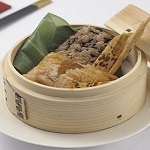 Customers of this plan can view it from observation deck of Kyoto Tower after eating Kaiseki ryori(Japanese traditional multi-course dinner). In addition, they see Kyoto dance of Maiko(apprentice geisha) during a dinner. Kyoto Century Hotel also has a special plan for it. Customers of this plan can view it from rooftop of this hotel after eating dinner at th buffet, Sushi, Tempura, roast beef and more. People not only see Gozan-no-Okuribi but also write words of worshiping thier ancestors or their wish for future on Gomagi. Gomagi is a wood for burning, and believed to fulfill a wish. The society for the preservation of Gozan-no-Okuribi sells Gomagi to visitors for 300yen(about 3 dollars) and help them with Gomagi. 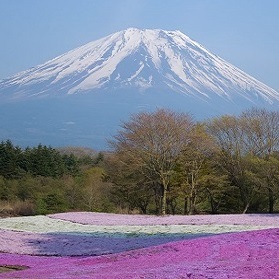 The sales of Gomagi is spent for protecting the environment of the mountains and keeping this event. If you travel Japan in August, you can experience Japanese culture through Gozan-no-Okuribi.